AMMAN, Jordan - Dr. Ashraf Al Kurdi was former Palestinian Authority president Yasser Arafat's physician for over 25 years. Freelance journalist Trish Schuh conducted an interview with him at his office in Amman. Q: The U.S. press has insinuated that Yasser Arafat was a homosexual who died of AIDS. Are you aware of this? A: I heard rumors he died of AIDS, but not rumors that he was a homosexual. I have done the HIV tests many times before on Arafat as a routine test. It was never positive. Q: When was the last time you did a test? A: About six months before he died. The Tunisian doctors told me they did this test in Ramallah and it was normal. Q: Did Arafat have any longstanding health problems? A: No, apart from the benign, nonessential tremor which manifests as a tremor in the lips and hands. He never had anything else. Q: Did he have Parkinson's Disease? A: Actually, this was investigated many times. No. It was the tremor only. He was tested many times for Parkinson’s. Q: How long had you been Arafat's primary physician? A: More than 25 years. Q: You treated him after the plane crash in Libya? A: Yes. We saved his life from bilateral subdural hematoma. This produced changes in his mental state and his physical appearance. He developed hemoplegia and when we caught it he was operated on in Amman. Q: Could this cause any later medical condition? A: No complications whatsoever. The operation went very smooth and was done by an ordinary neurosurgeon. Q: Before you saw him the last time, had he had regular checkups? Q: Arafat complained of stomach pain, could this indicate something? A: No. He had abdominal pain from time to time, but not constant. A gastrointestinal gastroscopy showed a mild irritation. Q: In the year prior to his death, how often had you seen him? A: I was called on the sixteenth day after his illness, and when I went there I saw a group of Tunisian doctors sent by his wife to Ramallah without calling me. These people never had any idea about Arafat's health -- never saw Arafat before. I saw four Egyptian doctors and three Palestinian doctors. After I went to Ramallah with my group, I went straight to see him. There were signs of poisoning, manifested by a reddish patch on his face and a metallic, yellow color to his skin. Q: Did any of these other doctors ask you about his medical history? Have you heard from them since? A: No, they didn't consult me. Nobody talked to me and none of them knew his health before, except one of the Egyptians. Q: Have you been contacted since for your opinion? A: No. No, there were strict instructions not to contact me by his wife, according to Palestinian Authority leaders. Q: How many checkups did he get in the year before his death? Q: Was he in good health? A: Yes, he was perfectly healthy. But I must stress that I was called officially on the sixteenth day of his illness, not at the beginning, so we can't know exactly when it started. This is a very important point. 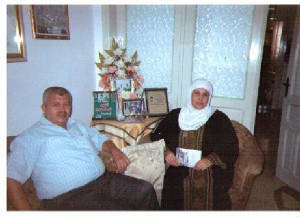 I told Suha Arafat that by sending the Tunisian doctors, you delayed treatment on your husband. A gap of five or six days. Q: Did you ask the PA leaders about this long delay? A: There was no good answer -- no one dared to say anything. I was told that Suha refused me access. Why, I don't know. When I saw him, I decided he must go abroad because there were tests he needed that couldn't be done in Ramallah. There was contact with the French and their response was immediate. 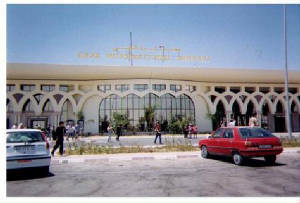 They sent a plane and the Jordanians sent two helicopters to take him to Amman. Nobody offered me to go with him to Paris, and whenever I asked after him, I never got a satisfactory reply. Again, because of one person, probably his wife. Q: What was his appearance the last time you saw him alive? A: He lost half of his body weight. He had this reddish spot covering his face, and his coloring was metallic yellow. He was conscious, talking and joking, even. His cognitive functions were perfect. After that I asked all the doctors to meet. We concluded he had platelet deficiency. Some of the causes for this were not clear, so I asked he be transferred to Paris as soon as possible. But even the French doctors didn't ask me for his previous history. Q: Did Arafat know he was dying? A: Yes. Yes, actually I heard from him in Ramallah, that he thought he'd been poisoned. Q: Did he say who or why or how? Q: Last September 25th, 2003, there was an illness that some PA leaders in the Muqata said marked the start of his physical decline. What do you think? A: I don't think so, because I went with a team to Ramallah from Jordan to investigate all known types of poisons. We took blood samples and there were no poisons, or HIV infection. Q: According to Islamic law, when the cause of death is questionable, an autopsy is required? A: That is absolutely true. I requested four things: a committee to investigate his health and the progression of his illness. I wanted all results of the Paris tests and to see the French doctors. I asked for cause of death and if it was not identified to perform an autopsy. Q: Considering that Yasser Arafat was a major world figure for half a century, shouldn't an autopsy have been demanded? Why was it denied? Who denied it? A: All of them. All the leadership, those with him in Paris and Chairman Mahmoud Abbas. He said there is no need, he is already buried. I said, "It’s not up to you." Q: Did you feel Abbas made the decision alone or was it a committee decision? Q: When you said publicly you thought he'd been poisoned, did you get threats? A: No. The PA said I should communicate this to them, which I had done from the first. Q: Some news accounts said the French government would be upset by an autopsy? A: This is very stupid, I don't think this would upset them. If someone dies of unknown causes, it is mandatory to have an autopsy -- mandatory! They know the regulations. Here in Jordan, bodies have been exhumed many times in criminal cases. Q: Is there a time limit to exhuming a body to trace forensic causes? A: It depends on the agents used. I suspect Arafat died of a "killing poison", a catalyst. The death was due to this. Yasser Arafat's removal was a triumph for Israel. It fulfilled demands for the election of anti-Intifada Prime Minister Mahmoud Abbas and his associates who "work well with Israel and America," and whose commitment to disarm the Palestinians will enable Israeli land theft for settlements to continue without resistance or reprisal from undefended Palestinians. Israel achieved Arafat's demise: "The obstacle to peace(s of land?) will be eradicated forever." According to President Bush's closest advisors, Bush had a radical change of heart in January 2002, when he decided for the first time that Yasser Arafat was an irredeemable terrorist unfit as a peace partner. Israel confiscated the Iranian freighter Karine A in the Red Sea, allegedly with a cargo of munitions en route to Gaza militants. Upon receiving "evidence" from the CIA via Mossad that Arafat had knowledge of the shipment, Ariel Sharon got what he always wanted: America's de facto elimination of Arafat as leader of the Palestinian Authority. With Washington watching, Israeli tanks surrounded Arafat's Ramallah compound while Ariel Sharon's cabinet discussed deporting Arafat. Under intense American and European pressure, Sharon promised Bush not to assassinate him. Middle East Newsline reported that Secretary of State Colin Powell then approached Egypt, Jordan and Tunisia to provide Arafat safe haven. All refused. On April 1, 2002, World Tribune.com reported that Morocco agreed to provide Arafat asylum. After insisting that 70 Hamas and Fatah colleagues accompany him, the Knesset rejected the proposal, arguing that he would be far more dangerous out of sight, operating a government-in-exile. A month later, both U.S. houses of Congress passed resolutions of overwhelming support for Israel and condemning Arafat as a "terrorist" and a "despot". On June 24th, from the White House Rose Garden, President Bush issued a critical foreign policy shift. In what analysts deemed "the death knell for Yasser Arafat," Bush first publicly called for regime change in Palestine. He later began to parrot Sharon rhetoric, saying the U.S. would no longer deal with Yasser Arafat, or acknowledge him as the Palestinians' leader. In the final months of 2002, Israeli experts advised U.S. Justice system lawyers how to legalize "targeted killings." The February 7, 2003 The Jewish Forward reported on an unprecedented legal document developed for the U.S. by Israel. It contained a comprehensive set of justifications for state terror assassinations, and revealed the Bush administration's involvement in such schemes. Bush now characterized terrorists caught -- but denied rights to trial --as being "otherwise dealt with." Israeli media also revealed that Mossad was training the U.S. military and CIA how to implement covert 'hits' with expertise gained fighting the Palestinians -- car bombs, snipers, cell phone explosives, high-tech devices and poisoning -- and how to disguise them as "unexplained events and accidents." As a step towards regime change, Israel and the U.S. forced Arafat to appoint Mahmoud Abbas prime minister in February 2003. Abbas's choice for minister of state security, Gazan Mohammed Dahlan, was favored by the Bush-Sharon team for his pledge to eliminate Palestinian resistance to Israeli attacks and settlements. According to the article "U.S. Quietly Backing Anti-Arafat Reform Movement" in Geostrategy-Direct.com, Americans "work with" Dahlan to fund and train his thousand-man militia for a coup d’état against Arafat by 2005. Arafat biographer Said Aburish noted that torture of prisoners thrived under Dahlan's rule in the 1990's. Arafat refused Dahlan's appointment. Abbas resigned in September 2003 over control of the Palestinian Security Services. Reacting to increased Palestinian attacks, in August 2003, Israeli Defense Minister Shaul Mofaz declared "all-out war" on the militants whom he vowed "marked for death." In mid September, Israel's government passed a law to get rid of Arafat. Israel’s cabinet for political security affairs declared it "a decision to remove Arafat as an obstacle to peace." Mofaz threatened, "We will choose the right way and the right time to kill Arafat." Palestinian Minister Saeb Erekat told CNN he thought Arafat was the next target. CNN asked Sharon spokesman Ra'anan Gissan if the vote meant expulsion of Arafat. Gissan clarified, "It doesn't mean that. The Cabinet has today resolved to remove this obstacle. The time, the method, the ways by which this will take place will be decided separately, and the security services will monitor the situation and make the recommendation about proper action." The Jerusalem Post (September 11, 2003) advocated: "We must kill Arafat because the world leaves us no alternative. When the breaking point arrives, there is no point in taking half measures. If we are to be condemned in any case, we might as well do it right..."
Israeli Deputy Prime Minister Ehud Olmert said: "Arafat can no longer be a factor in what happens here. The question is: how are we going to do it? Expulsion is certainly one of the options, and killing is also one of the options"; and "Killing Arafat is an open choice for us, definitely one of the options." Ariel Sharon: "Killing Arafat, more than any other act, would demonstrate that the tool of terrorism is unacceptable." 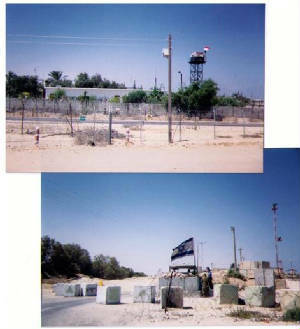 The Israeli Defense Forces Central Command then refined "Operation New Leaf" -- code word of the military operation for Arafat's elimination and its aftermath. Updated repeatedly in the year before his death, the plan included methods for his killing and burial site, riot prevention, protection of settlements from Palestinian backlash, and even instructions for IDF soldiers "not to appear too joyful at his death" to avoid provoking grieving Palestinians. A propaganda plan was also formulated to deprive Arafat of a hero's status through a non-combat, 'natural' death. Sharon spokesman Ra'anan Gissan said, "The issue is how to best remove this obstacle without making him a martyr." IDF Chief of Staff Moshe Ya'alon suggested, "We should kill Arafat softly… We must kill him softly and throw him out of the PA Presidential Palace; we must find an alternative leadership. I'm sure Mohammed Dahlan is qualified for this mission." In November 2003, Israel and the U.S. pressured the Palestinians to install new Prime Minister Ahmed Qureia to succeed Abbas. Qureia also battled Arafat to appoint Dahlan head of security. By February 2004, Palestinian legislators discovered that multimillionaire Qureia's family business, Al Quds Cement, had been selling Israel its concrete to build the notorious Apartheid Wall. The UK Telegraph also reported Qureia company cement mixers making deliveries to the Maaleh Adunim Jewish settlements. In Gaza, cement merchants closely connected to Qureia through Dahlan reaped exorbitant profits manufacturing cement for Israeli construction projects. Both men are hailed in Washington as "new leadership we can work with." Responding to a double suicide attack allegedly planned in Gaza, Time Magazine reported that Sharon's security cabinet decided on March 16, 2004 to execute Hamas founder Sheikh Ahmed Yassin on March 21. Despite world outrage at his assassination, National Security Advisor Condoleeza Rice defended it: "Let's remember that Hamas is a terrorist organization and that Sheikh Yassin has himself personally, we believe, been involved in terrorist planning." Ariel Sharon's White House visit on April 14, 2004 resulted in a deal with the Bush administration to radically alter the Middle East. In exchange for Israel's Gaza pullout, the U.S. agreed to Sharon's security request -- the "dismantling" of a list of terror threats: Arafat, Nasrallah, Hamas, Hezbollah, and Iranian nuclear capability. When Sharon presented Bush with "proof" that Arafat was responsible for the October 2003 attack on a U.S. convoy in Gaza killing three Americans, Bush finally acceded to Arafat's targeted removal. Yemeni Foreign Minister Abubakr Al Qibri warned: "The United States bears responsibility for what happens, since after every visit by Sharon to Washington he commits more terrorism and more assassinations." Sharon then branded Arafat a "legitimate target." "Whoever aims to kill Jews, whoever sends murderers to kill Jews, is 'marked for death'." He later threatened in the Hebrew daily Yediot Aharonot: "We operated against Ahmed Yassin and Rantisi and some other murderers at a time that seemed right to us. On the subject of expelling Arafat we will behave according to the same principle: we will do it at a convenient time. As we behaved toward other murderers (Yassin and Rantisi), so we will behave toward Arafat." Ma'ariv published a terrorist 'deck of cards' from Sharon's list of those "marked for death." "Everyone is in our sights," said Internal Security Minister Tsahi Hanegbi, "There is no immunity for anyone. And that means anyone -- down to the last person." Lt. General Moshe Ya'alon added that those on the list "understand it is nearing them." Israeli Foreign Minister Silvan Shalom also warned that the removal of Arafat is "closer than ever." 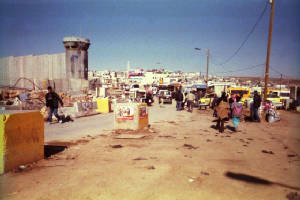 In July 2004, riots protesting Palestinian Authority corruption spread from Gaza to the West Bank cities of Jenin and Nablus. According to World Tribune.com, Mohammed Dahlan, with U.S. help, had been coordinating the revolt to strengthen himself as a future successor to Arafat. American-Israeli Political Action Committee (AIPAC), stated: "International pressure coordinated with Palestinian opponents of Arafat’s rule could accelerate a Palestinian leadership change." In the U.S., a New York Post columnist quoted an Israeli official at the Republican National Convention in August 2004: "Arafat will die this year." The Israeli continued, "I've never steered you wrong about the Middle East before. I know what I'm saying. Arafat dies this year... Don't ask me more." On September 6, 2004, Defense Minister Shaul Mofaz reiterated to Israel's Army Radio Israel's 2003 official decision to end Arafat's reign: "The State of Israel will find the way and the right time to bring about the removal of Yasser Arafat from the region." Within a month, Arafat had become mysteriously ill. From the first announcement, the American press definitively portrayed Arafat as already dying. In Ramallah, the Palestinian Authority prevented his personal physician, Dr. Ashraf Al Kurdi, from examining Arafat until it was too late to save him or get an antidote. Al Kurdi said Arafat knew he was dying: "Yes, I actually heard from him in Ramallah that he thought he'd been poisoned." By November 11, 2004, Arafat was dead from undiagnosed causes. After examining his medical dossier, Arafat's nephew Nasser Al Qidwa claimed Arafat was poisoned. 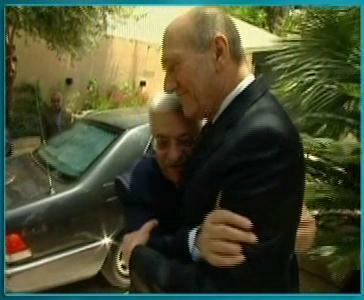 In an interview at his Amman, Jordan office, Al Kurdi told me: "I suspect Arafat died of a killing poison, a catalyst." Al Kurdi's request for an autopsy was denied by the PA. Addressing Al Jazeera, Hamas leader Khaled Meshal declared: "I accuse Israel of having poisoned the blood of Abu Ammar." Referring to a 1997 Mossad attempt to poison him, Meshal said: "French and Arab doctors may not be able to find evidence, as they could not find proof in my blood when I was poisoned, but Israel was forced to bring an antidote after two of its agents were held in Jordan." The October 29, 2004 New York Post admitted: "Israel has been preparing for his demise for months, including his possible burial site." In accordance with the propaganda dictates of Operation New Leaf, the last public image of Yasser Arafat alive was the antithesis of a symbolic warrior. 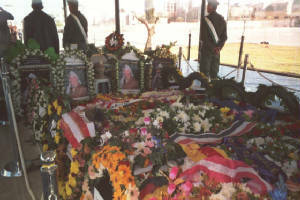 Ariel Sharon told Ha'aretz: "It is feared that after his funeral Arafat will become a national hero and freedom-fighter." The only photo of Arafat not in military fatigues, the NY Post showed him in baby blue pajamas, shriveled, weak, wearing a 'dunce cap' and looking like a pathetic child. Former Bush speechwriter David Frum utilized a frequent Mossad homosexual slur, asking "Does Yasser Arafat have AIDS?" In January 2005 during elections for Arafat's successor, I requested an interview at the Palestinian Authority Information Ministry with the committee investigating Arafat's death. "We have been ordered not to speak of this by our officials at the highest level." UNITED NATIONS, New York - At the United Nations 60th Anniversary World Summit, Palestine Minister of Foreign Affairs, Dr. Nasser Al Kidwa, addressed the UN General Assembly on behalf of President Mahmoud Abbas and the Palestinian people. He appealed for international support to end the Israeli Occupation and for final status recognition of a Palestinian State. Referring to his uncle, former President Yasser Arafat, he said; "It is for this noble cause that the late leader stood before you for the first time in 1974 and delivered his historic speech for the sake of peace and security in the region." As the first anniversary of Yasser Arafat's passing nears, I later asked Al Kidwa some questions about his death. Q: There has been controversy over the French medical report about Yasser Arafat's cause of death. After viewing the medical charts, you said you thought Arafat was poisoned. But it seems now you have changed your stance. Could you explain why? A: I have never said I thought this. I said there are serious question marks because of the fact that doctors at the hospital- a very good hospital- did not reach any conclusion on the diagnosis of the illness. This remains the case. There was some junk in one Israeli paper that asserted something. Strangely enough, The New York Times asserted the exact opposite the same day- which suggests that all of this is complete buloney. What we said originally- what the French doctors said originally is precisely accurate. There is no diagnosis. All three possibilities were looked at in the cause of low blood platelets. You can not but have a big question mark as to the possibility of poison. That's what we said and we maintain this position. Are we going to have proof? No. Given our severe limitations, technically and politically, we know we are not going to reach any final conclusion now. That's why we said the file has to remain open and the Palestinian people have the right to know the reality. I said I am confident the reality will be known in the not too far future. Q: Arafat's longtime physician, Dr. Ashraf Al Kurdi said in Amman he wanted an autopsy to be done, but it was forbidden. Why? Would the body ever be exhumed to solve the mystery? A: No. And this is not a new position. We said this for two reasons. One, because of the social and religious reasons when dealing with a great man of this kind. This is not something that Muslims would allow. Q: Al Kurdi claimed otherwise. That Arafat's historical significance mandates the matter be resolved for posterity. A: He can claim what he wants to claim. I am telling my position. This is the first reason. The second reason is the limitation in our ability to know. You take an autopsy and do what? Send it to America so you can know the truth? Q: So Palestinians can know the truth. Would you consider an independent, legitimate international team of doctors to do a full investigation to quell what could otherwise be endless speculation? A: You know this whole thing is really big... Anyone who understands politics, understands the limitations of this, and the only thing we can do is keep the file open and maintain the facts as they are now without permitting anyone to destroy those facts as some people have been trying to do- in a very lousy way, I might say, and without any credibility. Q: Have you suggested that there could be poisons used that are undetectable? A: Oh yes, sure. It all depends on your capability. Yeah, sure. Q: So the recent article on this subject in The New York Times? A: There was nothing new in their report- no new facts published. It was just total nonsense- nonfacts with no credibility whatsoever. Q: And the account in the Israeli Haaretz? A: It wasn't serious- more nonsense. Nothing mentioned there was serious. It's as simple as that. New York Times reporters Lawrence Altman and Steven Erlanger recently published an article after analyzing Arafat's medical records. Haaretz author Avi Isacharoff authored "The Seventh War: How We Won and Why We Lost the War With the Palestinians" dealing with Arafat's death. After contacting each of these reporters, I was told that results are still inconclusive. Also unclear is why Arafat's doctor- who first raised the issue- was not consulted. Since Israel was accused of poisoning him- why was the investigation done by Israeli allied investigators? Foreign Minister Silvan Shalom: Meetings, meetings and more meetings! I think it was a very important decision that was taken today by the Security Council. The time has come that there will be no more compromise with terrorism. There is no way to justify terrorism. No matter who is carrying out the attacks, and against whom. Terrorism is terrorism is terrorism. Terrorism is always against innocent people. Today the world made huge progress toward fighting and combatting terrorism everywhere and against everyone. Schuh, Muslim's Weekly: Does that include extrajudicial killings? FM Shalom: There is no way to have different definition of terrorism from what it is- when people or groups are trying to take lives of innocent people. Muslims Weekly: Does that include extrajudicial killings then? Shalom: I dont know how to define it. It should be done by the Security Council itself, but the initiative of PM Blair today was a very important one; and we should continue to have more progress in the same direction; that is the right direction. MW: Do you think that for the US to threaten preemptive tactical nuclear strikes on Iran is terrorist- is this a rogue state talking? Shalom: We believe Iran is a terrorist state, and Iran is sponsoring all the terrorist organizations. Iran replaced Saddam Hussein by giving those paychecks to the families of suicide bombers; $25,000 to each family if they kill Israelis. If they only hurt them, they pay them only $10,000. Iran continues to support Hezbollah. Iran relays all kinds of weapons through Damascus and the sea port of Latakia... Iran and Syria are well known for sponsoring terrorism. Its a state of terrorism. MW: Pakistan hosts Al Qaeda and the Taliban on their soil, yet you're working to establish full relations with them? Shalom: The meeting I had a week ago with the FM of Pakistan is an historic one... A meeting between Israel and the second largest Muslim country in the world is a very positive signal to Israeli public opinion and Arab and Muslim people... We have contacts with most of the Arab countries, but most want to keep it confidential. MW: Can you comment on Israel's recent pullout from Gaza? Shalom: We had a full withdrawal from Gaza. MW: What of the Maale Adunim settlements? The West Bank? MW: Sir all the fresh water is under the West Bank, and that's where you're expanding. The deal was made to pull out of Gaza so you could compensate by expanding in the West Bank and the Negev. How does this further peace? MW: But if their land is being taken in violation of international law? Shalom: Thank you very much. DAMASCUS, Syria Dust rose waist-high wherever we went that day in Gaza City. Gray cinder block rubble swallowed up entire neighborhoods, along with jagged half-buildings, skeleton homes and bomb craters. 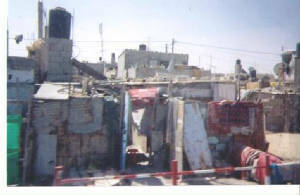 Water, paint and freedom had been eliminated by the occupation. But inside the home of Hamas spiritual founder Sheikh Ahmed Yassin it was quiet and cool. The 63 year old leader greeted us from a wheelchair in front of bookshelves lined with textbooks, photos of his 11 children, pictures of colleagues and Hamas paraphernalia. At center front was an ornate, gilded Quran with a rifle insignia. Around him were his deputies, one propping up the Sheikh’s ailing body and another holding an electronic device to catch and amplify his high-pitched whisper. Quadriplegic since childhood, hard of hearing, and almost completely blind, it was difficult to reconcile this paralyzed invalid with Israel’s characterization of him as "head of one of the world’s most dangerous terrorist organizations." In fact, it was Israel itself that once provided the initial funding to forerunners of the Islamic Resistance movement in the early 1980’s. Israel intended Hamas as a front organization to undermine nationalist leader Yasser Arafat’s PLO. Miscalculating the rise of fundamentalist political Islam, Israeli tacticians gambled that religious rivals would defuse Arafat’s secular appeal and divide the Palestinian resistance. Instead, a new and harsher foe emerged: Sheikh Ahmed Yassin. Unlike Arafat who was often accused of being Egyptian and 'not genuinely Palestinian,' Ahmed Yassin’s pedigree was certain. He was born in 1936 in the Arab fishing village of Al Jorra near what is now the southern coastal port of Ashkelon. After Israelis bulldozed his home in the 1948 war, the family fled along with tens of thousands of other refugees to the crowded Gaza Strip. There the 12 year old Yassin suffered a sports accident that left him paralyzed from the neck down. In 1959 Yassin studied in Egypt at the Ain Shams University. He returned to Gaza a year later a devotee of Muslim Brotherhood philosophy, (which was later to provide the ideological framework for Hamas). The ensuing years were spent teaching Arabic language and Islamic Studies. While also preaching in area mosques, Yassin’s charisma and distinctive physicality gained him renown and widening influence. In 1983, after years of preaching and organizing in area mosques, Israeli occupation forces assessed him a threat and sentenced him to 13 years imprisonment for weapons possession and charges of trying to start a subversive underground organization. The sentence was commuted 2 years later during a prisoner swap for Hamas member Khalid Meshal. In 1987, Yassin became the spiritual leader and founder of Hamas, "The Islamic Resistance Movement". It coincided with the first Palestinian Intifadah and became its guiding inspiration. In its own words, it was founded "with the objective of destroying the Zionist entity, and establishing Palestine from the sea to the river" using armed struggle, "martyrdom operations" (suicide bombings are not called such, as suicide is forbidden in Islam) and a rejection of negotiated settlements. In 1993 Hamas opposed the Oslo Accords, criticizing Arafat’s deal with Israel. In a famous statement, Yassin declared; "No Palestinian was convinced that this path would lead to peace, secure Palestinian territories or establish a Palestinian State." "As I see it, Israel was founded on oppression and the confiscation of land. Any entity based on oppression is doomed for disintegration." Seizing the backlash from a corrupt Palestinian National Authority, Hamas functioned as a de facto government provider of social services, opening mosques, hospitals, orphanages, food banks and schools. A Palestinian student said; "Hamas doesn’t live in rich mansions or have million dollar bank accounts." (I had commented on the many palatial homes surrounding Ramallah in the West Bank and the Polo Fields in Gaza, owned by PA figures). Hamas claims it didn't hit civilian targets until 1994 when Jewish settler Baruch Goldstein killed 29 civilian Muslims praying in the Ibrahim Mosque in Hebron. The first "shaheed" suicide bombings against Israeli civilians retaliated two months later. Sheikh Yassin often condemned the P.A. for not strongly supporting the resistance effort against Israel. He also openly accused Arafat of sabatoging military operations. Aware of Hamas' mass popularity, and Yassin's hero status, Arafat never dared a public confrontation. (Though he did put Yassin under house arrest in 1998). After the 2000 Al Aqsa Intifadah began, Yassin issued several ceasefire proposals, on the condition that Israel withdraw from the West Bank, Gaza, East Jerusalem and halt the targeting of Palestinian activists. Israel refused, later announcing that all "top terrorists" were "marked for death." 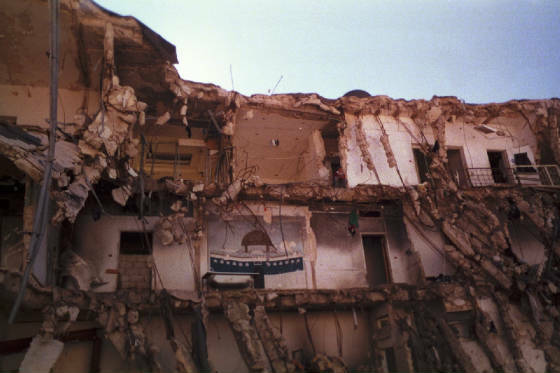 On March 22, 2004 an F-16 torpedoed Yassin as he exited his regular 5:00am mosque prayers. He had refused to go underground or alter his well-known daily routine. Prime Minister Ariel Sharon announced that Yassin's policies had been responsible for the death or injury of thousands of innocent Israelis, and justified his targeted killing. But many political analysts believe it will serve no practical deterrence against further attacks. Some predict violence will escalate across the region. Violent demonstrations erupted from Egypt to Pakistan and even Al Qaeda responded with threats of retribution. In Damascus, a young Saudi woman mourned; "He was a great icon. It would have been a humiliation for him to just die in his bed of old age. Now he is a martyr and will live forever." In Gaza, dozens of new borns are being named "Ahmed Yassin" and Hamas has vowed "unprecedented revenge." Before his death Sheikh Yassin said; "If I am killed there will arrive a thousand like me. They (the Israelis) should know that the battle will continue...."